About a month ago, I sent the following article to the DSA magazine. The article outlines the evidence that Trump has been a money launderer for the Russian mafia and the crisis for the mainstream of the US capitalist class. The editors of the magazine didn’t even acknowledge having received it. It is a shame that DSA is not leading the way in exposing not only the (literally) criminal role of Trump, but also what else is involved as this article explains. The information is starting to leak out. The latest example is the recently published book “House of Trump, House of Putin: The Untold Story of Donald Trump and the Russian Mafia” by Craig Unger. However, in general the politicians of all stripes are avoiding the issue. 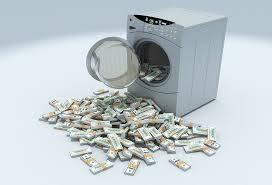 The reason is that Trump’s role is only the tip of the iceberg; the fact is that money laundering is rampant throughout the entire real estate industry, meaning that the banks and other financial institutions are in it up to their necks. DSA should be leading the charge on this issue and using it to expose the rot of the entire capitalist system, not waiting for the liberal/”progressive” wing of the Democrats to take it up. The harshness of the attacks on Donald Trump by strategists and representatives of the mainstream of the US capitalist class are unprecedented. 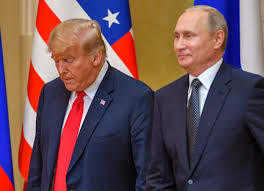 “Donald Trump’s press conference performance in Helsinki rises to & exceeds the threshold of ‘high crimes & misdemeanors.’ It was nothing short of treasonous. [!] Not only were Trump’s comments imbecilic, he is wholly in the pocket of Putin. Republican patriots: Where are you?? ?” tweeted John Brennan, former CIA director under Obama. “Enemy of the people” commented lifelong Republican Max Boot. “The president essentially capitulated,” said James Clapper, former Director of National Intelligence under Obama. Such comments should cause any serious socialist to sit up and take notice. It is an indication that this mainstream of the US capitalist class has largely lost control over its presidency. But why? How? The harshness of the attacks contrast with the superficial explanations for Trump’s behavior in Helsinki. It is claimed that maybe his ego simply wouldn’t allow him to admit that others had a hand in his election victory. In fact, the reason is much more serious and the reason why they are so reluctant to discuss it is more serious still. It goes all the way back to the restoration of capitalism in Russia. This process involved something like the lawless building of capitalism in the American West. An oligarchic mafiosa arose from which the “capo-di-tutti- capo” – Vladimir Putin – took power. One single telling fact about Putin and the society over which he presides is that by some estimates http://fortune.com/2017/07/29/vladimir-putin-russia-jeff-bezos-bill-gates-worlds-richest-man/ he’s the richest man in the world. But the oligarchs he leads had to have somewhere to stash their profits, preferably in dollars. As early as the mid-1980s, the Russians were making contact with Trump. Then, after his series of bankruptcies in the 1990s, Trump was having trouble getting US financing for his real estate ventures. So he started looking elsewhere. He found it in the Russian oligarchs. The online journal whowhatwhy.org was one of the first to report on his links with these oligarchs – back in March of 2017. In that article they detailed Trump’s connections. 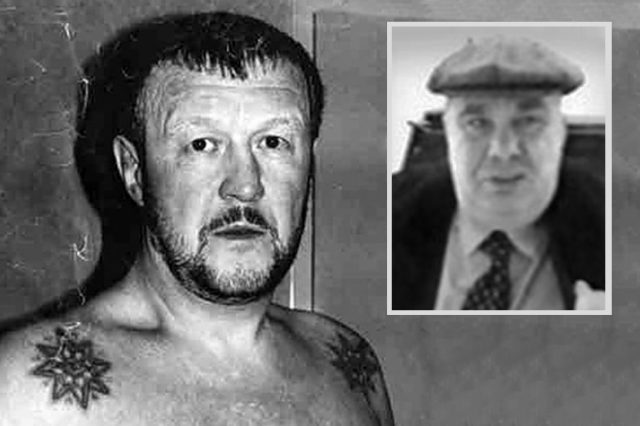 “Yaponchik” Ivankov (left) and “Boss of Bosses” Semion Mogilevich. They are connected to Trump. One of Trump’s associates during those years was Felix Sater, who was born in Russia and was connected with the Russian oligarchs. Sater was a stock broker who got barred for stabbing a fellow stock broker in the neck. He then joined White Rock investment group, which was run by Ivankov, and in 2001 he joined Bayrock investment company, also founded by Ivankov. He had “senior advisor to Donald Trump” and “The Trump Organization” printed on his business card. He is also pictured standing with trump in some of the latter’s publicity pictures. Whowhatwhy details much much more. These facts were barely covered by the mainstream capitalist media. The operative sentence here is the last one. The LLC laws in Delaware are the same in several other states, and cash sales of condos is routine, as is the use of LLC’s. An article in Bizjournals.com quotes Michael McDonald, a former IRS criminal investigator: “They can form a corporation and bury you so no one ever knows who you are. You have criminal groups outside the U.S. trying to park money here. One of the best ways to do it is to buy real estate because no one asks who you are.” The article quotes another expert in the field: ‘“Most of them aren’t concerned with source of funds,” he said. “It’s so easy to move money that, as soon as you come up with one precautionary measure, there’s just another way to do it. I don’t know that you would ever have enough protections to find the ultimate sources of dollars.” The same article claims that in the first half of 2013, 73% of condo resales in Miami were cash deals and nearly 90% of condo buyers were foreign. In other words, money laundering for the real estate industry is rampant, and if the cover is blown for Trump, there runs a danger that it will be blown for the whole industry. What would that mean politically? Take the city of Oakland, where this writer lives. Like many cities, it is run by the Democrats. And who controls those Democratic Party local politicians? In both the case of the mayor, Libby Schaaf, and my own local city council man, Abel Guillen, it is the real estate industry! Schaaf is running for reelection this year. A review of her Form 460 campaign donation reports reveals that the overwhelming majority of those who donated the maximum allowable are real estate investors and others in the real estate industry such as major architects. They include the likes of Bay Homes and Properties, real estate developer Franklin Arthur of the Arthur Co., and Steve Beda, an investor in Carmel Partners real estate investment company. Guillen has a similar donor base. Both Guillen and Schaaf would be considered to be in the liberal wing of the Democratic Party, with Schaaf famously having sent out a public warning in Oakland before ICE was going to conduct a sweep in this area earlier this year. We have no evidence tying any of these and other donors to money laundering, but if it is as rampant as it appears to be, then it seems highly unlikely that donors to politicians like Schaaf and Guillen would not be connected in some way. So, can you imagine the huge furor if this sort of thing started to become public knowledge? Entire cities would be in an uproar. This development alone could be the impetus that could lead to a movement for building a working class alternative to the Democratic Party. Now, despite all the risks, the mainstream capitalist media seems to be reluctantly being driven towards revealing Trump’s connections. MSNBC.com recently did a story on it, for example. They claimed it is “a new piece of journalism”, which is obviously false. (The NBC story interviews a reporter who, among other things, mentions Bayrock. All of this had been reported on more than a year earlier by Whowhatwhy.) If they feel forced to reveal this story more deeply, they will certainly try to contain it and pretend the money laundering is confined to Trump alone. Socialists should do whatever we can to reveal these ties of Trump and to explain that he is not alone, that the real estate industry is rampant with such money-laundering. We should explain that this shows the degeneration of the entire US capitalist class and that we, the working class, cannot rely on their Democratic Party politicians to advance our cause, that these are caught up in the same web. If the working class is even going to start to come together as an independent force in the United States and play its own role in cleaning up such degeneration, it will need its own political party.